Please find below some photos from my recent trip to INACE shipyard in Brazil. If you have been visiting the buyexploreryachts.com website you will know that there has been quite a bit going on there. Included in the zip file below are photos of the new 95 about to be delivered (ABS and MCA classed). 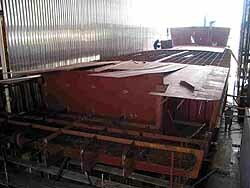 Please understand when looking at the photos that she is not complete, she is in the fine finishing stage. 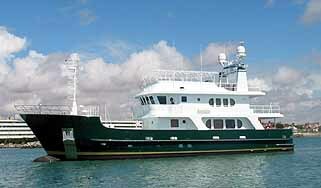 I very much hope to have her at the Fort Lauderdale boat show but a lot will depend on the weather. There is not normally a problem to bring the boats up during this time of year, working around weather events but this is a VERY active year. 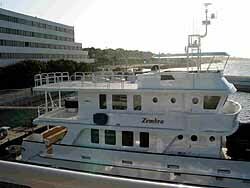 Also included are photos of the second 95' Explorer and a new 105' Explorer under construction from not only this trip but my last trip in May, there are photos of Zembra, delivered a little over 2 years ago, with her new stern and a upper deck modification to take a 4 passenger helicopter. The first in a new line of Long Range Yachts for one of my clients is underway; this 111' model ( we are developing models up to 140') has the heart of the Explorers series but dressed out as a yacht. She incorporates a huge master on the main deck and 4 large guests below, like the Explorers she is being built to ABS and MCA. You can see profiles and layouts of her on the buyexplorer website page here. You may download all the images from this trip (many images not shown here) in this Zip File. Warning- Large 10 meg file may not be suitable for all downloads. I look forward to answering any questions you may have regarding any of the above information.